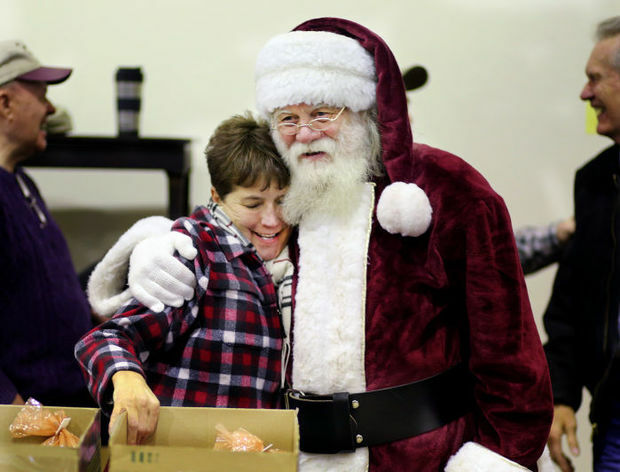 Christmas 2018: December 18th from 10:30 AM to 4 PM at the St Mary’s Family Life Center in Stevensville. Every year, we prepare a special food box in December to provide a celebratory meal for our clients. 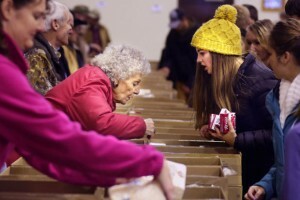 The box is usually a small ham or turkey, stuffing, cranberry sauce, cake mix and frosting, jello, canned fruit as well as fresh fruit and vegetables (carrots, celery, apples, oranges and potatoes). Clients sign up for the food box when they come in for a regular food box in mid-October thru mid-December. The distribution date is usually the week before Christmas and the distribution is only successful because of all of our special volunteers: the Stevensville and Florence High School students, the Backcountry Horsemen and as well as other members of our community. We greatly appreciate the use of the St. Mary’s Family Center in Stevensville, where we hold the distribution. ShareTree and Toys for Tots Programs use the same date to distribute gifts to the children of our clients.